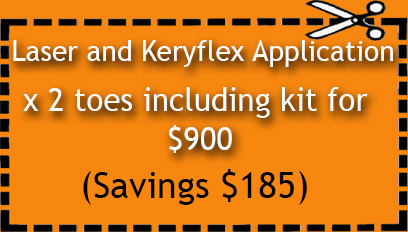 KeryFlex is a safe, nonsystemic in-office application that restores the appearance of patient’s natural nails. The product allows one of our doctors to remodel patients’ nails affected by fungus, nail dystrophies and trauma. The patented resin creates a flexible, non-porous nail that allows the remaining natural nails to grow healthy and strong. The KeryFlex nail provides a natural looking nail during oral anti-fungal therapies. It also provides an immediate cosmetic improvement for patient's unsightly nails, while allowing antifungal treatments and laser to be applied. The KeryFlex nail is durable and safe to be used with acetone, nail polishes or detergents. Dr. Alison Croughan is a certified specialist in the application of the KeryFlex Nail Restoration System and has seen amazing results with her patients. 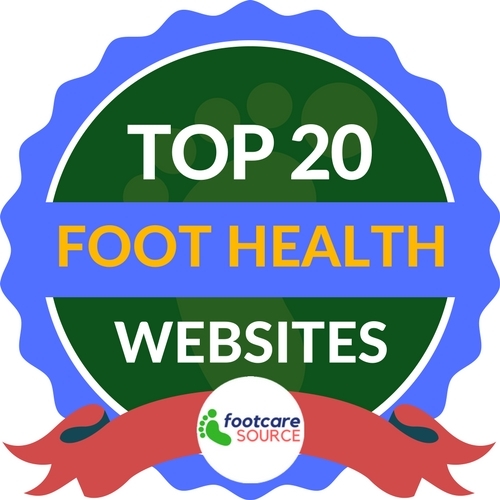 She recommends this product to any patient that is concerned with the appearance of their toenails while undergoing antifungal treatments, laser treatments or while a new nail is regrowing. walked out of my office in open toed shoes and with a new found confidence." At Advanced Podiatry of Manhasset and Huntington, we have a specially trained doctor to apply the KeryFlex Nail Restoration System. We also have different payment plans and special offers for multiple toe applications.